Since I noticed that I On the Arts' coverage of Music has been a little thin of late, I decided to reach out to a couple of Philly-area and Swattie alum musicians to do interviews with them! 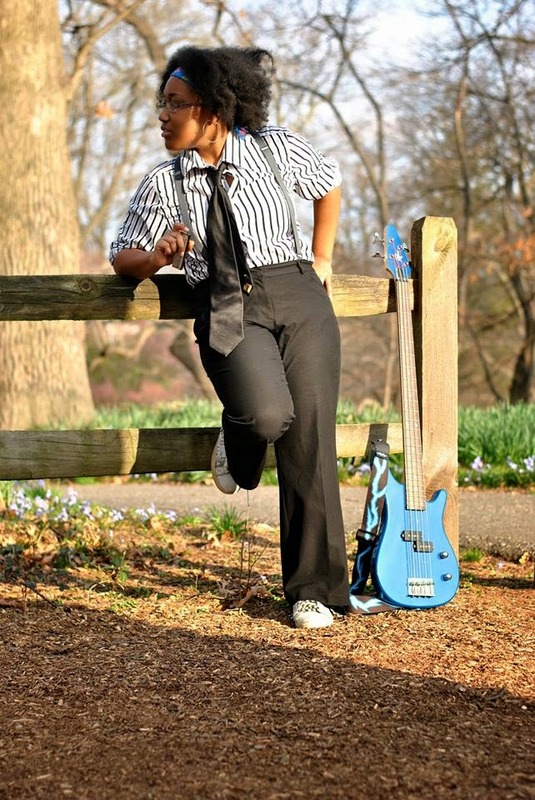 One of the first musicians I spoke with is Chele Harrington, an independent R&B musician who hails from Memphis and makes her home in the Washington, DC area. Chele's music is passionate and her voice is strong and deeply affecting. While she grew up around music and musicians, it is a Swarthmore that she realized her dream of working as a professional musician, and auditioned for "The Glee Project" in 2011. Her debut EP, "Electrosoul," drops later this year. Chele Harrington: I don’t recall there ever being a time where I was not making music. I had musical family members so there was always a new instrument in the house or an old instrument lying around. My mother was given a baby Steinway piano when I was 1 and it immediately became my favorite thing. I’d sit in front of the TV with the piano and pick out the theme songs and jingles that came on Nickelodeon before I could walk. I was in love with the cartoon characters Schroeder (Peanuts) and Rowlf (Muppet Babies). I’d sit the piano in front of the TV and play along. Today I play viola, guitar (lead/bass), drum set, drawbar organ, the harmonica and synthesizers. I had taken lessons in all of these before middle school. It should also be noted that I am from Memphis, Home of the Blues. Listening to jazz, gospel, blues, hip hop and for some (read, for me) country is all a way of life. I also performed my first original song in a talent show at Rozelle Elementary. It changed every time we had rehearsals. By the night of the show it ended up being me rapping over a Horace Silver song. Then Beyoncé’s Carmen HipHopera came out and all of my fellow ten year old classmates were obsessed with it so I turned into a Da Brat-esque hip hop narrator of the immediate surroundings. CH: Musical expression and musical education was instilled in me from birth so I am grateful to have gone to a creative and performing arts school as early as Kindergarten (Rozelle CAPA in Memphis). I have had formal music instruction throughout my academic career so I shouldn’t get into listing teachers. The most influential teacher by far would be my cousin Tony. He taught me the patterns I needed to learn on drums and bass guitar and took me with him to his gospel and jazz gigs in Tennessee and Mississippi and often let me play. Playing with gospel and jazz musicians (which is usually by ear and improvised) juxtaposed with playing in string ensembles (interpreting and perfecting an established work) quickly made me into a decent musician despite my age. I was making weekend income as an on-call church musician by middle school. Full circle, I have become a music educator myself giving lessons in the DMV areas and the musical director for a church in West Hyattsville. Prince, Rick James, Erykah Badu, Cee-lo Green, Frank Ocean, Lauryn Hill, Janelle Monae-- black eclectics. Makers of alternative R&B. OutKast, BoneThugs-N-Harmony are my favorite Hip Hop collaborative. Ray Charles, Ella Fitzgerald, Sam Cooke, The Staple Singers-- singers of soul. Little Richard, James Brown, Jackie Wilson, Temptations, Beatles-- the 50’s rock sound. IOtA: How did the Swarthmore community affect your music? CH: A capella scene. Essence of Soul. Michael Marissen. EDM. Student bands and radio stations and outdoor concerts. Exposure to reggae, bacchata atmospheric rock, the lo-fi sound, and shamefully my first time being exposed to the Beatles. DJ-in and sound design software and DIY dorm room production. Taleah Kennedy was my big sis through the SASS Big Sib/Little Sib program when I came into Swat as a freshman, and it was a perfect match for someone who wanted to be an artist but thought that she needed to only focus on a career in academia. 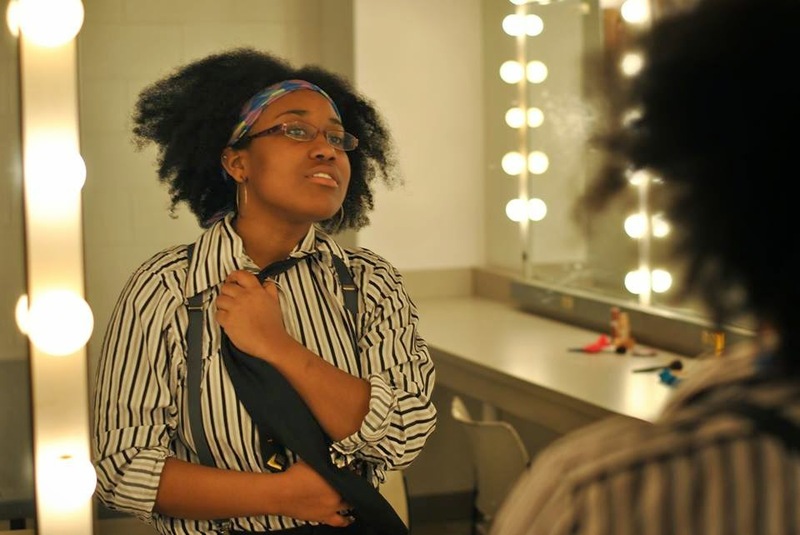 “My major is economics but when I go into the real world I want to be a performing artist.” I did not think of doing both until I got involved in some of the same extra-curricular activities as Taleah, particularly Essence of Soul. Being in a group where you’re constantly thinking about dissecting, arranging, harmonizing, performing, recording, beat boxing, free-styling, improvising for four years and all for the sake of recreation made me realize that I could and should go for it. CH: Swarthmore fostered the dream and DC served up the option of being a professional musician quite wonderfully. I have friends who sing, or rap, or play an instrument (maybe 2) or they produce, or they ghost-write. However, they breathe that one musical thing. I do all of these things and I act. I auditioned for the Glee Project in New York and received so much support from Swarthmore and Memphis communities that I made it through a few rounds and the dream began to seem tangible. I started teaching music in DC May 2012. Working in a music school and studio opened the door for me to become a musical director for a church in Maryland and a contractor at Radio Free Asia (DC) so I guess I owe the DMV for actually letting me pay bills with music. CH: Love, reciprocated or unrequited. Colors. Elements. Blues. Rain. Isolation. Journey. Uncertainty. Loss. Synesthesia. Abstract. Trip. Book and play characters, mythological characters, classical references, forces of nature, Invisible Illness, Biblical references, nostalgia, childhood, innocence, Contemporary Women’s Poets (from the last 5 decades), works of core black fiction, Tibetan culture because of a random obsession with his Holiness the Dalai Lama. IOtA: Are there plans for a full-length album? What projects are you working on now? CH: I’m releasing my debut EP Electrosoul this year. CH: I make instrumentals when I don’t have words. I write words when I have too many thoughts. Doing this separately is why I have notebooks full of poetry and hard drives full of vocal-less deeply emotive instrumentals. It depends on how much I feel. If a song is trying to come out in one of those longest midnights with a freshly bleeding heart, you already know kind of what you want to say. Those pour out quickly. I can write a sad or an angry song about a breakup or mistake in two sittings. But songs written on a cross-country drive or over a beer don’t have to be about any certain thing so they just kind of organically ramble on until they don’t. You eventually finish the beer and you eventually end up somewhere. CH: Nuyorican Poets Café. It was a Swarthmore alum event of performers in New York and for some reason Taleah and myself were invited to do our own sets (while still students). I had a couple of members from Essence of Soul come with me to sing some background arrangements, a childhood friend from Memphis to rap some of his verses and a dorm mate to play my arrangement on his acoustic guitar. It was the first time I had seen a song of mine come to life outside of my dorm room with other people performing the parts that I normally did. I felt like a composer. It was also my first time in New York, so that was definitely an added sprinkle of magic. CH: Just second-guessing and being an overly harsh critic of myself and establishing a perception of myself I’m okay with. Doubt definitely kills more dreams than failure. Nice interview! Will certainly listen to her music to see what it's all about. Thanks for expanding your coverage!